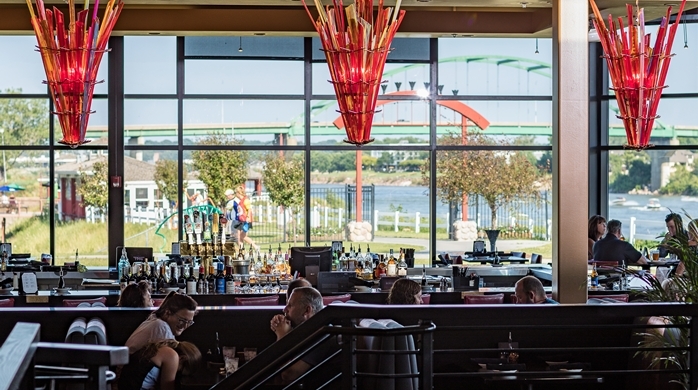 When a new owner purchased a hotel, restaurant, marina and seasonal bar in downtown Sioux City, Lloyd Companies came in to transform the area into a modern riverfront center of activity. 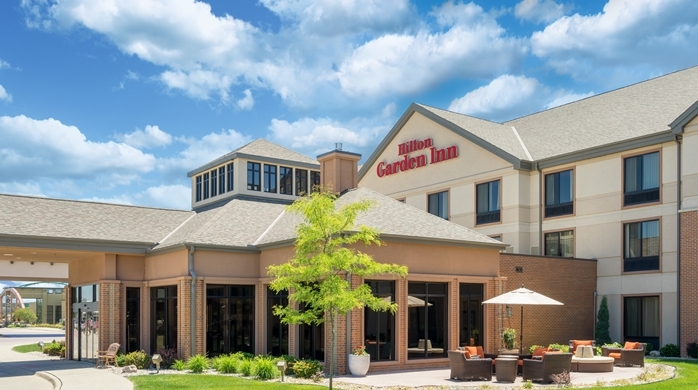 Through a multi-phase, $1.44 million property improvement plan, Lloyd Companies extensively renovated the Hilton Garden Inn beginning in late 2017 and ending in mid-2018. The first phase of renovation included the property’s grand ballroom, pre-function space, meeting rooms and restrooms. Lloyd’s construction team worked closely with the hotel to adjust work times based on meeting room occupancy, so attendees and presenters weren’t disturbed. The second phase of the renovation involved the local restaurant attached to the hotel. 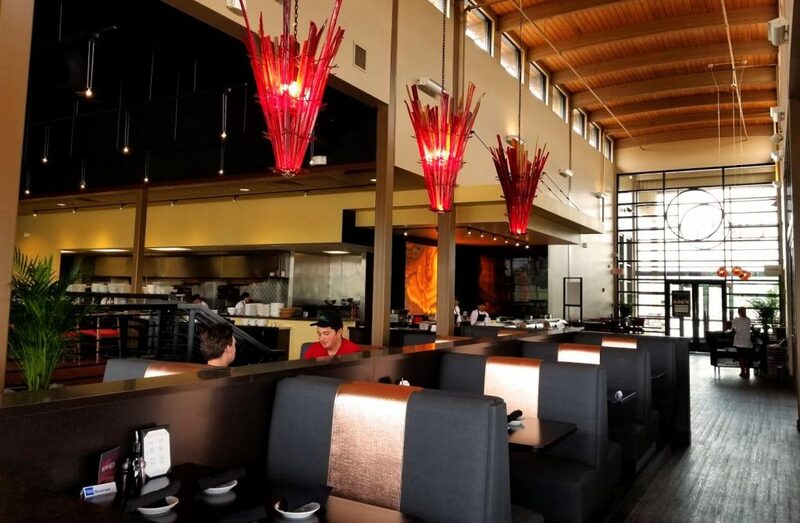 In two months in early 2017, Lloyd Construction completed a $417,000 remodel, fully gutting the property and rebranding it as CRAVE American Kitchen & Sushi Bar, a popular concept based in the Twin Cities. “Again, we worked closely with the hotel to minimize disruption, as well as with the restaurant franchisor to ensure the project met their timeline and budget,” Pittmann said. Lloyd delivered the finished restaurant in just 42 days. The final phases included renovation of all 123 guest rooms and coordinates, removing the existing furniture and installing new furniture and artwork. “It was necessary to carefully plan and communicate our plan to ensure the hotel could remain open and operational and that a clean, safe construction zone was established for guests and staff,” Pittmann said. 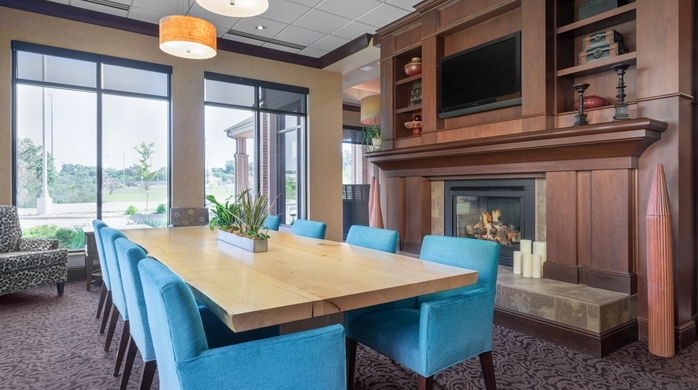 During that phase of the renovation, the hotel’s owner approached Lloyd to adjust the schedule, because a significant piece of group business came together. “We quickly agreed to wrap up the in-progress room renovations, shifted the team to other jobs sites and temporarily shut down renovations for two weeks,” Pittmann said. This adaptability allowed the hotel to sell every room possible to the group. Finally, Lloyd completed the public and lobby area renovations for the property.